Carnoustie accommodated a record 172,000 spectators for the venue at last year's Open. Some murmurs since this July’s successful staging of the championship at the Angus links had the R&AS dissatisfied with the total crowd of 172,000 – a record for the venue – and suggesting that it might not remain on the Open’s pool of 10 venues, but Slumbers distanced himself from such rumours. “This year we’re adding a venue (Royal Portrush) that is well through the 200,000 (spectator level) that not that many years ago we only used to get around (St Andrews),” he said. “And that is important to me, certainly been part of my goals since I’ve been here. I believe big‑time sport needs big‑time crowds, and we certainly had that at the last couple of Opens, and we’re certainly going to get that this July. “Last year was the record numbers we’ve ever had at Carnoustie and I think for anyone who watched those four rounds of golf around that course, that was pretty special. 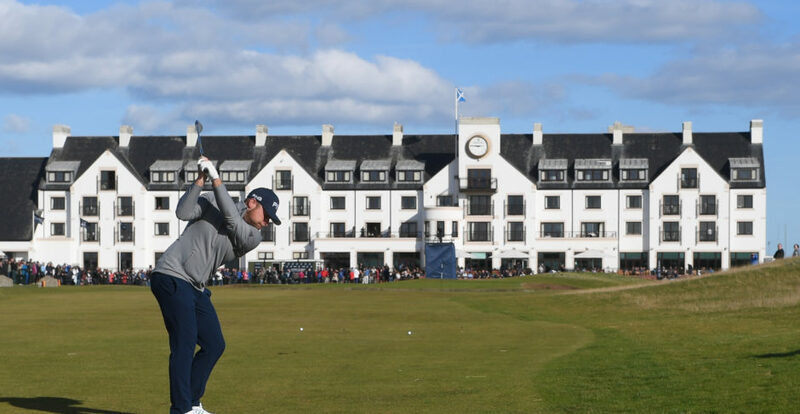 “I think that bringing the enhanced marketing and sales capabilities that we’ve built over the last three years will grow the number of spectators up at Carnoustie quite significantly. “Going back there, I would expect it to go up again, as we are getting better and better at attracting people to come to it. 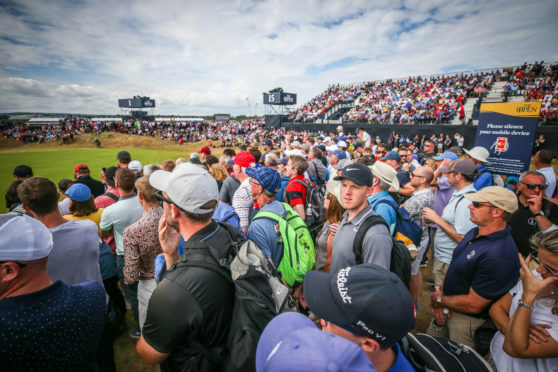 There are no changes to the Open’s “rota”, although the R&A have shuffled the order again with the announcement yesterday that the championship will return to Royal Liverpool Golf Club at Hoylake in 2022. Hoylake returned to the rota after a 39 year gap in 2006, when Tiger Woods won, and hosted the championship again in 2014, when Rory McIlroy won his sole Open crown to date. The schedule suggested the championship was due to return to Royal Lytham and St Annes, which was last host in 2012, but Slumbers said the Lancashire links had “done some heavy lifting” for the R&A in recent years hosting a Walker Cup and the Women’s British Open last year. He admitted getting the modern Open “footprint” into the Lytham course was “a tight squeeze” but this was not a constraint – the different catchment area further south on the Wirral was significant in the decision with the Open having been in the West Lancashire area at Birkdale just three years ago. With Royal Portrush this year, Royal St George’s in 2020 and the 150th staging of the championship at St Andrews in 2021, three of the next four Opens are outwith Scotland and it looks increasingly likely the championship will be back at Muirfield in 2023. The Honourable Company of Edinburgh Golfers lost the championship briefly when it voted to block women members but was brought back into the fold when it changed its decision a year later, although a female has yet to join the game’s oldest members’ club. However Slumbers seems to believe there is imminent news on that front from Muirfield and seemed to hint the East Lothian course would take its place in the rota on schedule ten years after the 2013 championship won by Phil Mickelson. “I’m in frequent dialogue with Muirfield, and it’s up to them to make public what they’re doing, but I’m very happy where we are,” said the chief executive. As far as Turnberry is concerned, the Ayrshire course remains in the pool of 10 venues, but there are still no plans to go to the course owned by the family of the US President Donald Trump, he confirmed.